Successfully Added Self Balancing Electric Scooter MegaWheels - US + EU Only, Free Shipping, 12KM/h, 2x 350W Motor, 20KM Range, UL2272 Cert (White) to your Shopping Cart. The MegaWheels TW01S is a high-end self balancing electric scooter that has been crafted out of premium components and it comes with the latest batteries. Thanks to the fact that it only uses the best materials, this electric skateboard has been given the UL2272 electrical safety certificate – meaning there are no fire or safety hazards when using this cool electronic gadget. Perfect for young and old, this dual wheel self balancing electric scooter is guaranteed to bring along hours worth of outdoor fun and entertainment to all its users. Capable of carrying up to 120KG, this electronic scooter allows you to cruise the streets or even drive through the halls of your office at great convenience. With its twin 350 Watt motors, this electric skateboard packs plenty of power – allowing you to reach cruising speeds of 12km/h at ease. Additionally, it is capable of tackling inclines up to 25 degrees thanks to which you’ll be able to use it outside without needing to step off and carry along your scooter any time you come across a hill. The twin motors of this electronic skateboard are powered by an epic 4400mAh battery that delivers a driving range up to 20km. With all this power at your disposal, you’ll be able to cover large distances and use your MegaWheels during your daily activities such as when going out shopping or stopping by at the post office. Thanks to its daily use waterproof design, slight rain and wet roads won't stop you from using your electronic scooter outdoors. Featuring built-in pressure sensors under each foot, this electric scooter can be easily controlled by beginners and advanced drivers alike. 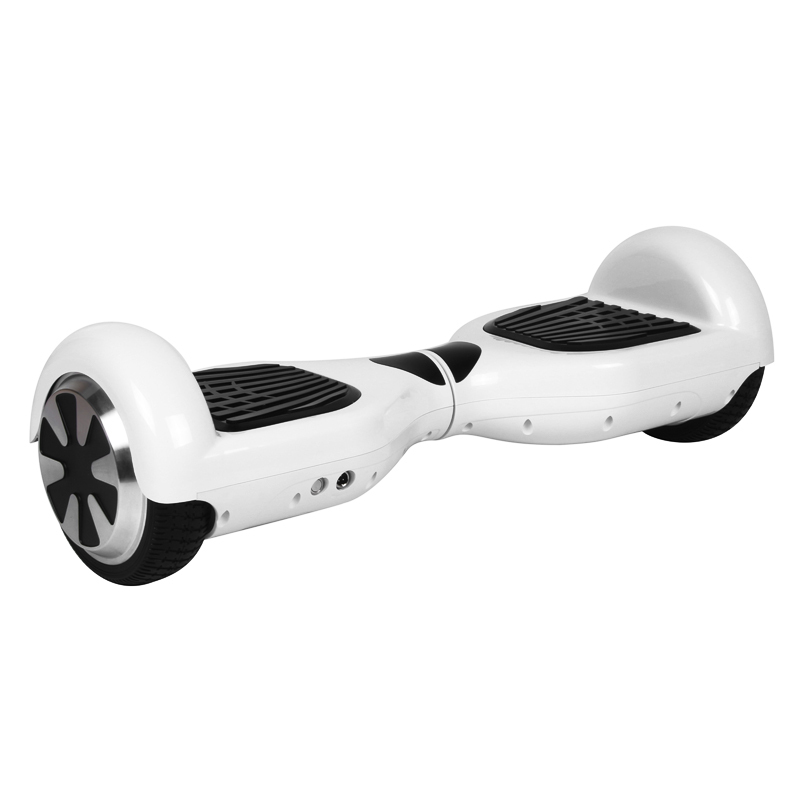 Additionally, it comes with gyroscopic motors that support you in keeping your balance with the minimum effort. Thanks to this, the electronic skateboard can be used efficiently by people of any age – making it a great electronic gadget for kids, teenagers, and grown-ups alike. This electronic scooter comes with a 12 months warranty, brought to you by the leader in electronic devices as well as wholesale electronic gadgets.. This item is stocked in California and can only be shipped to USA.